Jumbo Muffin Billboard Optical Illusion is another one of those creative advertisements. One of those muffins crushed that poor car! 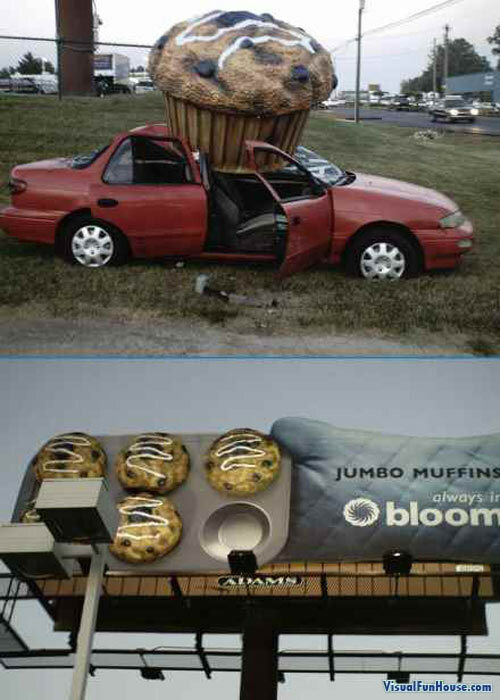 This one would defiantly draw your attention, seeing a car destroyed by a giant muffin. Now you have to wonder if it was it placed there to grab your attention, or did the guys putting up the billboard just forget to tightened the muffin anchor!